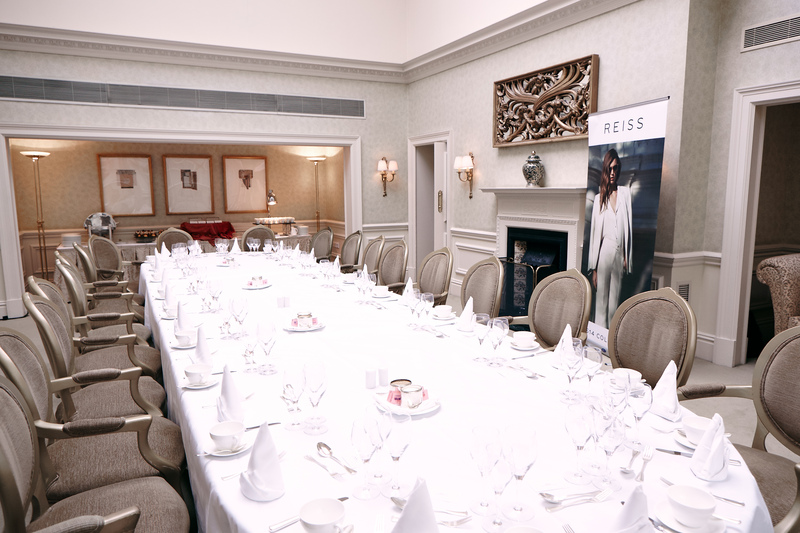 On Wednesday I was very kindly invited by the lovely girls at Reiss to the bloggers lunch to showcase their spring summer ’14 collection. 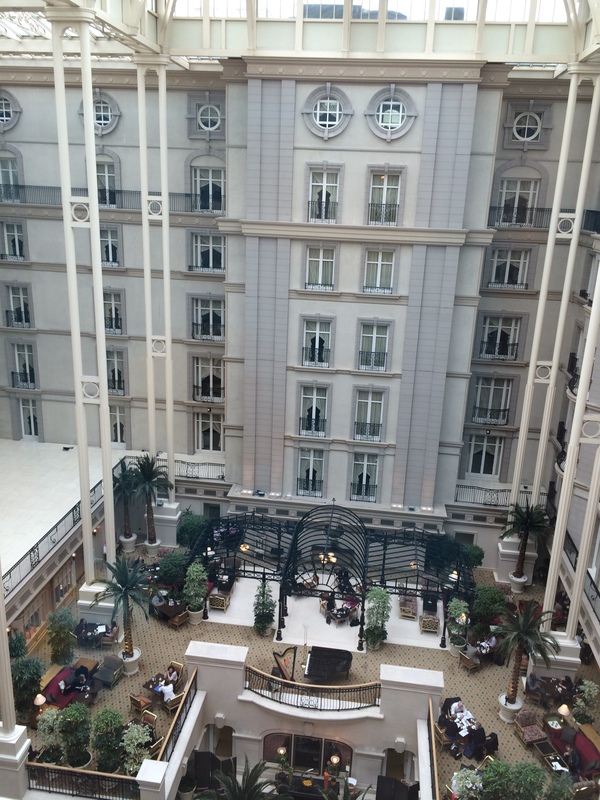 The afternoon was held in the luxurious tower suite of the amazingly beautiful Landmark Hotel in Marylebone. It was an afternoon of high tea, finger sandwiches and very yummy scones complete with clotted cream and strawberry jam. To say I was a tad full by the end of the afternoon is a massive understatement. I indulged big time! The tower suite overlooked the gorgeous winter garden dining area and gave us a wonderful view of the gorgeous town house style doors of the rooms and the towering palms. There was complimentary manicures courtesy of the girls at Essie. They were using the new resort collection which has some lovely perfect-for-summer shades. After arriving to a champagne reception we mingled for a while chatting to the girls from Reiss about the new collection and greeting the other bloggers. We all sat down and were offered champagne, wine, fresh leaf tea or coffee. 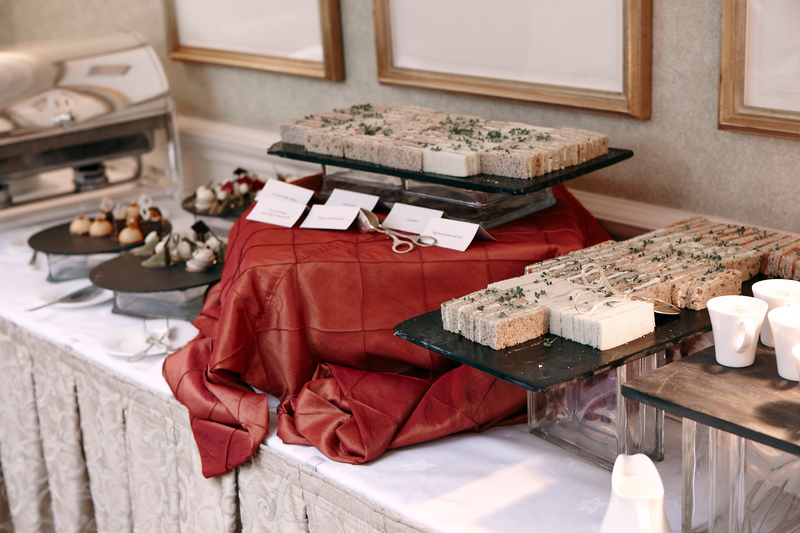 We made our way up to the table of delightful looking food where there was an impressive spread laid on. 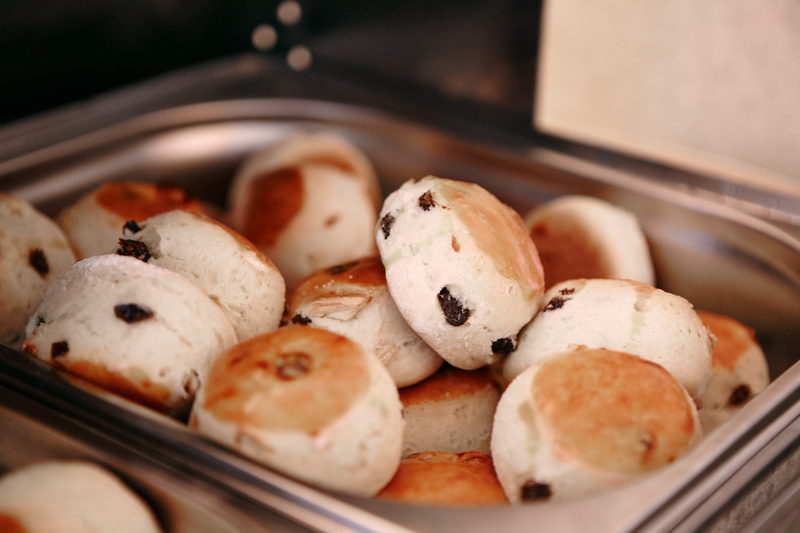 It was hard to choose what to pick first, I started off with a couple of scones. I couldn’t pick between plain or apple & raisin, so I went with both. 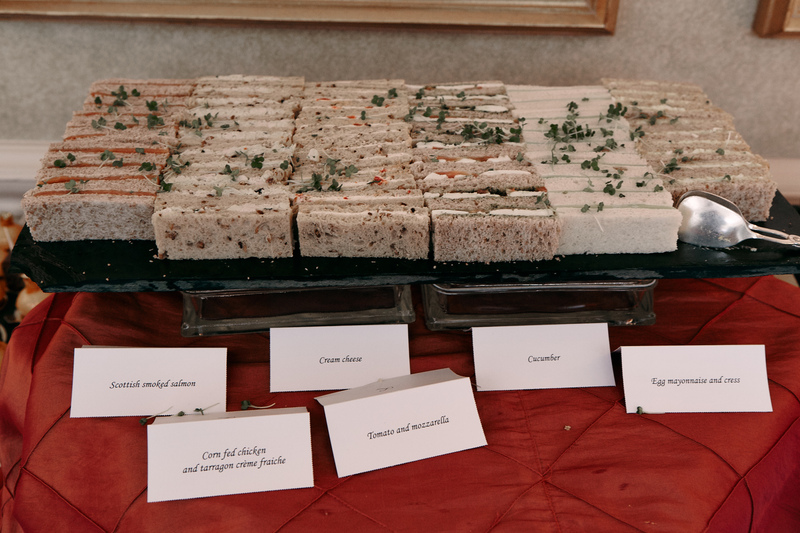 I then tried a few sandwiches and my goodness, the chicken and tarragon was by far my favourite. The cream cheese and red pepper was a close second. 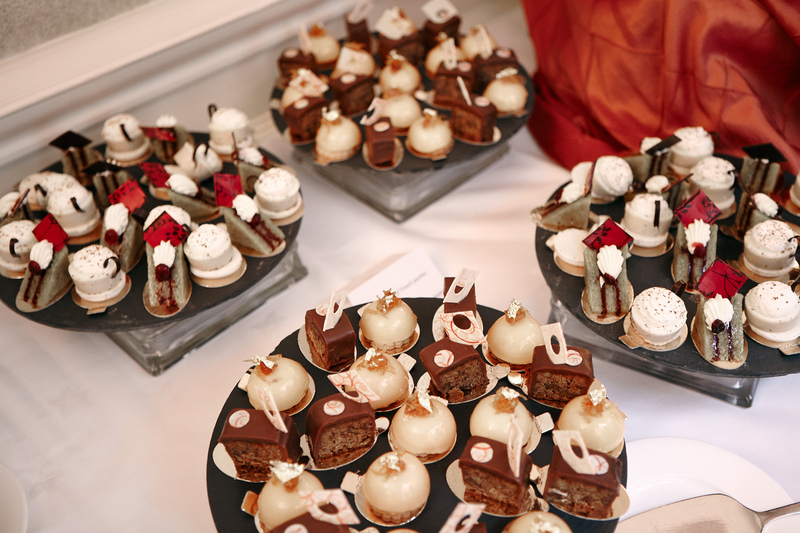 Then it was on to the sweets and I was on a complete sugar high after working my way through the mini puddings. Well, it would be rude not to try wouldn’t it?! 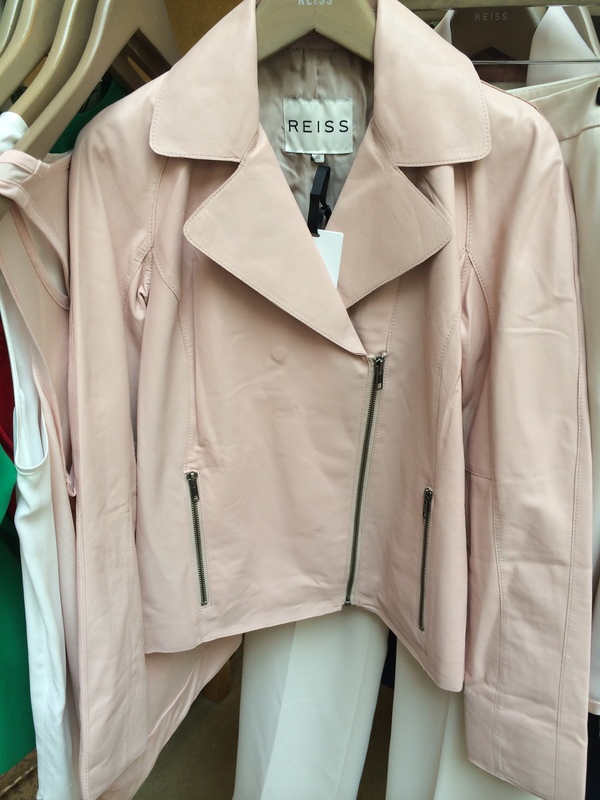 My favourite piece of all the beautiful items on show was the pastel pink leather jacket. It was a gorgeous supple soft leather in a marshmallow shade of pink. It definitely looked good enough to eat. There was also a to-die-for feather print jumpsuit and a gorgeous pair of barely there ankle & toe strap heels. The afternoon was absolute delight and it was a real privilege to be a part of it. 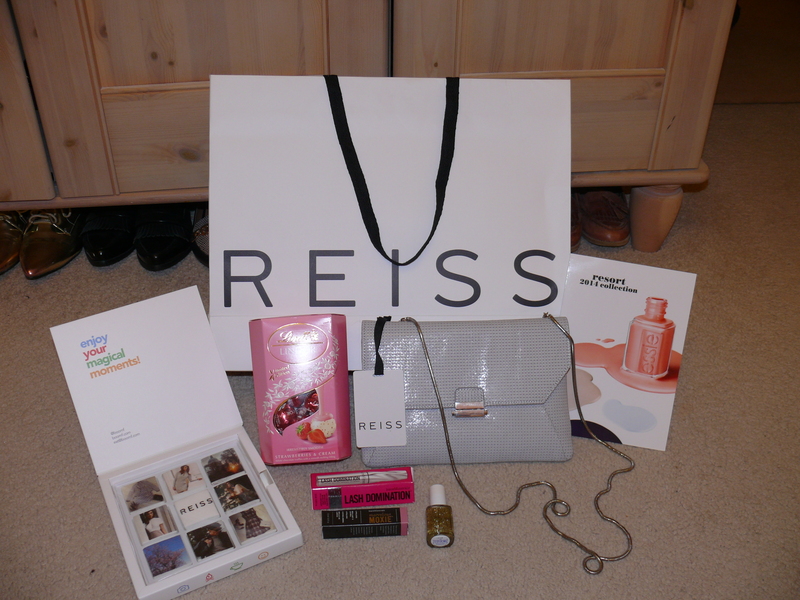 On our way out we were given goody bags and I must say we were absolutely spoilt with generous gifts. Thanks Reiss and all the girls involved with the effort and planning that went into the wonderful afternoon. I had a great day and it was lovely to meet you all.